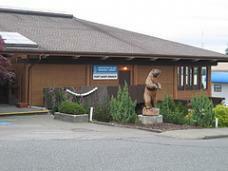 The Port Hardy Library, a branch of the Vancouver Island Regional Library, is located at 7110 Market Street. The Port Hardy Regional Library houses a large collection of fiction and non-fiction books and a comprehensive reference section for patrons of all ages. The helpful staff work with patrons to research reference materials. Through an inter-library loan network, patrons also have access to the Province’s three university libraries, the North Island College library and to all books in the Vancouver Island Regional Library system. For hours of operation, call 250-949-6661 or for current hours and events, or visit the website.